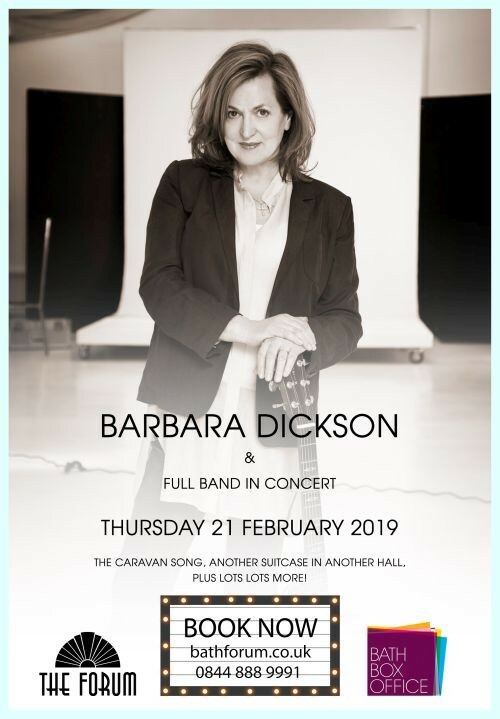 Barbara Dickson is back on tour for the first time in two years with her full band, singing a selection of her hit songs from the theatre and some of her own favourites. Andrew Lloyd Weber and Tim Rice helped propel Barbara Dixon to fame with hits including “I know him so well”, and “Answer Me”. In her subsequent recording career, Barbara Dickson has earned 6 platinum, 11 gold and 7 silver albums. She was awarded an Olivier Award for her work in the theatre in ‘Blood Brothers’ and won a second Olivier and Best Actress in a Musical award from The Variety Club of Great Britain for her role as Viv Nicholson in ‘Spend, Spend, Spend.’ Further acting awards have included Best Actress in a Musical from the Liverpool Echo for her own show, ‘The Seven Ages of Woman’. Performances with Elaine Page, Ringo Starr, Gerry Rafferty and others, alongside her own solo hits, has firmly established Barbara Dixon OBE as one of the most enduring and popular artists in Britain today. Barbara will perform a wonderful range of material drawing on her folk roots as well as performing globally known hits such as The Caravan Song, Another Suitcase in Another Hall plus lots more, at The Forum, Bath. An evening packed with songs from one of the finest voices you will ever hear. Tickets are on sale now with organisers expecting a sell out long, long before the date of Thursday 21st February ‘19.